Ray Catena Jaguar Marlboro is your certified Jaguar dealer, serving drivers throughout Marlboro, Englishtown, and Freehold. Here, you’ll find a large selection of new and pre-owned cars. We’ve set out to provide a world-class experience since the day we’ve opened our doors. Our goal is always to offer drivers the best possible experience, from finding a car to paying for it to taking care of it. We use a straightforward approach that brings many drivers back for their second, third, or fourth Jaguar. Whether you begin the search for a car online or visit our dealership, you’ll find all the new models from the Jaguar lineup. This includes the XE, XF, XJ, and F-TYPE. Experience the joy of the sporty SE sedan, or the stylish XF. The F-PACE carries a bit more space in its SUV setup, but don’t be confused—despite being an SUV, it still carries that special blend of performance and power. There are also a number of pre-owned cars in stock, along with the Jaguar Certified Pre-Owned lineup. These cars are backed by a 7-year/100,000-mile warranty**, and undergo a 165-point inspection prior to receiving the certified designation. This inspection covers everything from what’s under the hood to exterior appearance to the taillight functionality. View our Pre-Owned inventory here! Our commitment to our customers continues well beyond the date of purchase. Our professional team of Jaguar technicians have the skills and equipment to handle all maintenance and repairs. We also carry a number of authentic Jaguar OEM parts designed to be the glove-like fit for your model. If your Jaguar is under warranty, any manufacturing defect will be taken care of by the vehicle warranty, with any parts covered by the Parts and Accessories Limited Warranty. Visit our service center to schedule maintenance! In our opinion, one of the best perks of buying a Jaguar is the complimentary scheduled maintenance it comes with. Buy a new Jaguar, and for five years or 60,000 miles, you’re completely covered. Check out your Jaguar Passport to Service guide for further information. 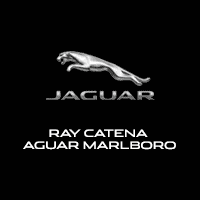 At Ray Catena Jaguar Marlboro, our customers always come first. We work tirelessly to earn your respect and trust, and will always go above and beyond to take care of both the big picture and the little things, too. Explore Marlboro, Englishtown, and Freehold thanks to our friendly staff. Have questions for us, or want to schedule a Jaguar test drive? Contact us today! **ACPO Coverage, including limited warranty and roadside assistance, expires up to seven years from the original in-service date or 100,000 miles, whichever comes first. Original in-service date is the earlier of the new-vehicle retail sale or in-use date, as reported to Jaguar Land Rover North America, LLC. Select vehicles may have the option for different warranty terms. Vehicles with the 7 years/100,000 miles limited warranty are limited in supply and only available at participating Jaguar Retailers. See your authorized Jaguar Retailer for complete terms and conditions.